This Why We Move To Long Term Evolution (LTE) Technologies. The limitations of 2G and 3G networks have driven us to the right direction. And today we are experiencing a better network performance around the world, even though some individual complains of the network generating heat faster, this could be as a result of non device compatibility to the innovation. LTE: long term evolution technology is officially the network of the future and will continue to improve. It is oblivious that some countries are yet to implement these services across their cities. Although there are some limitations that come with every new technology and innovation we are going narrow them down and also see how to overcome these limitations. The first thing anyone using LTE will enjoy is speed. Most of the service providers advertise and market LTE, or 4G as it’s often called, exclusively around the benefits of increased speed alone, playing to the lowest common denominator in the consumer mind. If 3G was faster than 2G, then 4G must be faster than 3G, or something like that, because 4 is higher than 3. Yes, these are absolutely true 4G networks can be around 10x faster than the 3G networks which they are replacing in telecom industry today, so speed is a real deal benefit of 4G. Another bigger Convenience LTE brings is the shift to an all IP (internet protocol) based network. Whereas previous versions of cellular networks were all circuit switched, LTE is all IP. This represents a huge shift in the architecture of mobile networks, and is the foundation for understanding why the benefits of 4G are much more than mere speed. Perhaps the best analogy I have heard is that 3G is like using a dial-up modem and LTE is like having home broadband. Clearer audio quality – Circuit-switched networks only offer narrowband communications, which is why older phones sound like tin cans when you talk on them. With 4G, service providers can offer wideband audio services, which, when compared to the older services, sound far, far better. Once customers experience the difference in audio quality they will never want to go back to narrowband again. Communication beyond voice – With an IP based network, true unified communications and collaboration become possible. Collaboration tools on mobile devices and things like presence, chat, and web meetings become common features that are part of the communications ecosystem. If your co-worker is busy, you can wait until they are off of a call. Video likewise becomes more important, so expect to see more video meetings and conferences. Network administration – An IP network is much less expensive for the service provider to run on a day to day basis compared to legacy networks. With circuit switching, once a call is established, the circuit stays in place whether someone is talking or not. IP networks are far more dynamic and share resources more efficiently. Like I mentioned earlier, an innovation is never complete until it is complete integrated into every once life. The existing mobile phones cannot be used to access LTE network features. Those using former device needs to either upgrade their devices or better update themselves with mobile phone which supports LTE functionality. This will for sure incur cost to the user to migrate to LTE and avail the LTE service. 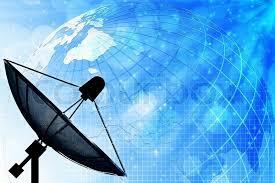 LTE network is completely new network which requires installation of equipments and antennas to make it operational. As LTE service has been recently started, it takes time to get stabilize and have LTE signal available everywhere. At the moment, the service is available in some of the regions or cities. The problem can be avoided by having multimode supported mobile phone, so that user can make use of other networks such as 2G, 3G in case 4G signal is not available. 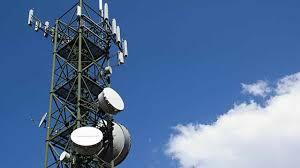 LTE system is complex and hence requires skilled engineers to maintain and manage the system. They need to be paid higher salaries in order to retain them. ← Upcoming Mikrotik User Meeting 2018: Date, Country and Venue.